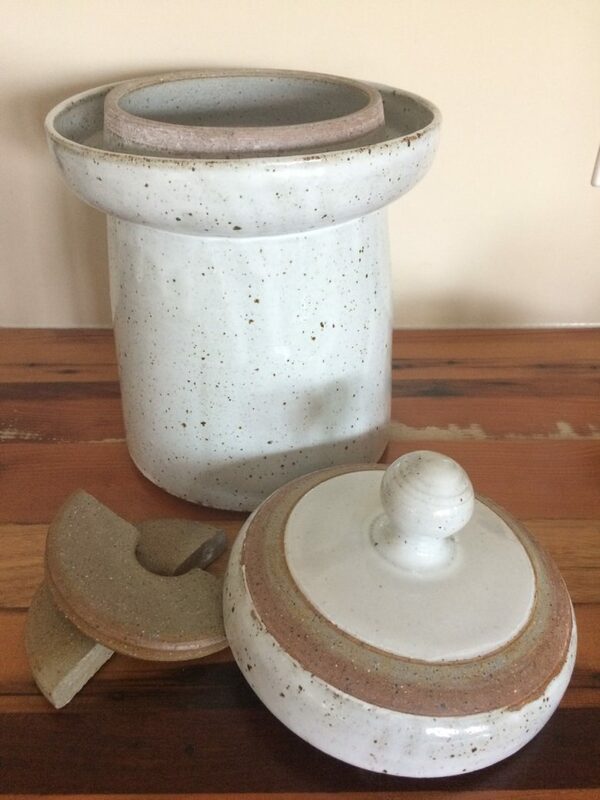 Fermentation weights, sometimes called fermentation stones or followers are just as important as your choice of fermentation jar or crock. 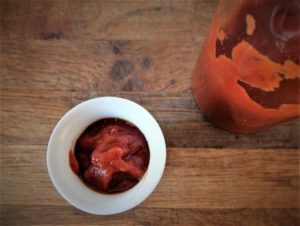 If you are thinking about fermenting foods like fruit and vegetables then following some basic rules will ensure you end up with a delicious, tangy result rather than a potential spoiled, fuzzy ferment. Keeping your vegetables or fruits below the brine is important for a few reasons and it is really easy if you use fermentation weights. A fermentation weight could be something as simple as a bag full of water, a handful of food-safe stones or dedicated glass or porcelain weight that fit exactly in your jar. The job of these weights is to keep whatever is in the jar below the surface of the brine. What Sorts Of Fermentation Weights Are There? What Fermentation Weights Can You Buy? Is It Worth Buying Fermentation Weights? Lactic acid fermentation is an anaerobic process. This means it happens without oxygen so we need to ensure the foods that we are fermenting are kept below the surface of the brine. The exclusion of oxygen combined with the pH of the lactic acid ensure the vegetables do not spoil and there is very little chance of mould or yeasts forming. If the vegetables are above the surface of the brine because no fermentation weights are used then they are exposed to oxygen which allow unwanted microorganisms to grow. The use of fermentation weights ensures the the vegetables that are prone to floating in most cases are kept submerged preventing any spoilage from happening. This is the reason keeping your ferments weighed down is important. If any spoilage does occur it can ruin a whole batch of your fermenting vegetables. Fermentation weight range from simple solutions that can easily be made to work to dedicated products that are designed for the very purpose of keeping your ferments submerged. The simplest types of fermentation weights people would of used would have been a plate on top of a open fermentation crock. Large batches of sauerkraut, for example, would have been fermented in open mouthed crocks. This large opening would have been the right size for a plate to sit on top of the kraut and this could easily be weighed down further to keep the cabbage submerged. Ziplock Bag Filled With Water Or Brine: A simple DIY solution that most people will already have is a ziplock bag. The bag can be filled with a small amount of water or brine and when placed in the fermenting jar will conform to the size of the opening. Water or brine can be used, brine is good if you think the bag may leak as it won’t dilute the brine in the ferment. 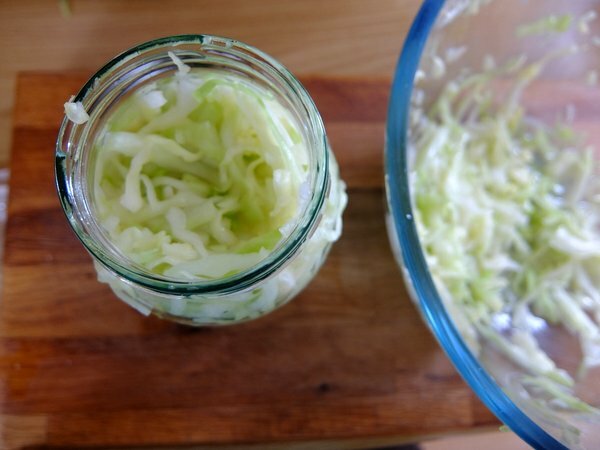 Vegetable Weights: A common weight for ferments like sauerkraut would be the cabbage core itself. I do not recommend this myself as cabbage cores tend not to be that heavy and being organic are more prone to moulds and yeast. If you do use something like this I still recommend a weight on top. These clear weights are made of glass are either round or come in two halves. The two halves can be inserted into the jar separately to make a whole. The weights can also be stacked if your ferment is particularly buoyant. Being made of glass they are very easy to clean, sterilise and will not absorb any liquid. Ceramic or stone weights work pretty much the same as glass weights. They come in two halves but of course the material they are made from is different. Ceramic weights are usually unglazed so can be slightly porous. This is fine but they do need thorough cleaning to avoid any bacteria from being harboured. The pickle pusher system is a gate that replaces the weights you would usually find. The pickle pusher gates are made of silicon and use friction to wedge into the mouth of the jar. They are particularly useful for ferments that contain lots of very small vegetable debris that are liable to float around traditional weights. Most purpose made crocks come with fermentation weights. As crocks are a certain size and are not a standard size like jars they often come with weights and airlock lids. These crocks look great and have everything you need to ferment without having to get separate bits so these are well worth paying the extra money for. Many fermentation jars nowadays have airlock lids, meaning they let carbon dioxide created during fermentation out without letting any oxygen in. The god thing about these types of fermentation jars is that they are much less prone to spoiling. The exclusion of oxygen makes it much harder for spoiling microbes to get a foothold. There will still be some oxygen in the jar to begin with so they are not foolproof but do you need fermentation weights? 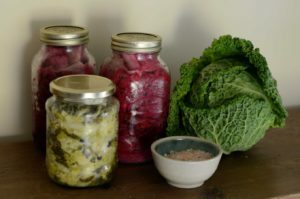 In all cases you want to keep your produce, fruit or vegetables below the brine, even with airlock fermentation jars. 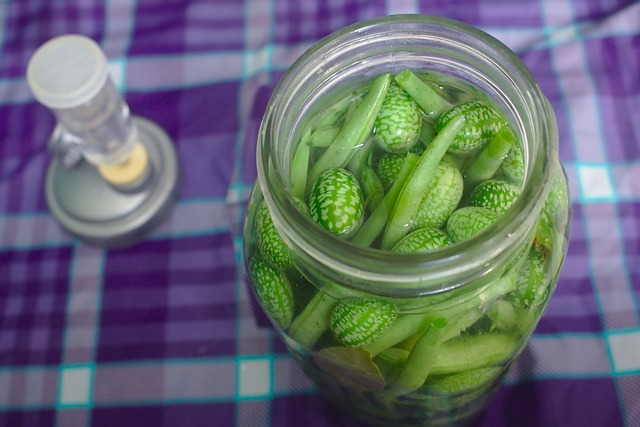 Whilst they may not spoil as easily you want fermentation weights to keep the ferment below the brine and have everything in the jar properly pickled. If you ferment vegetables a lot then it is much quicker and easier to use fermentation weights. 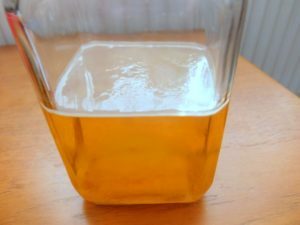 Making your own DIY fermentation weights is more hassle and they don’t always work great as if they are not heavy enough or the right size ferments can slip around them. Fermentation weights are reusable, you can use them time and time again. They are compact and heavy so take up less room in a jar than DIY fermentation weights allowing more room for the actual vegetables. I often use makeshift fermentation weights, I prefer ziplock bags full of brine. They work most of the time but using weights when they are not in use in other ferments is always my first choice as they are so easy to just drop in.